Google affiliate Sidewalk Labs unveiled more details around its ambitious plan for a high-tech Toronto community on Thursday, but it?s unclear as to who will own what in the company?s futuristic neighbourhood, and who will pay for it. 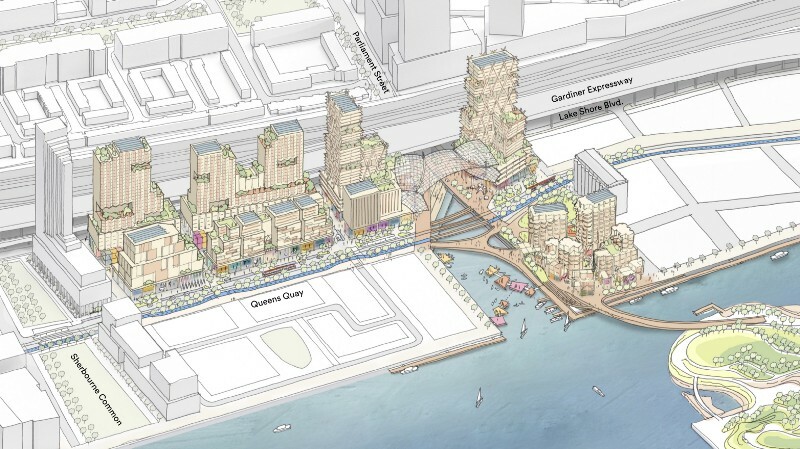 Sidewalk revealed it is proposing the Quayside community on Toronto?s eastern waterfront be centred around a dozen timber buildings, each a mix of commercial, retail and residential spaces. It hopes about 40 per cent of residential space will be priced below-market and that about 5,000 residents will call the area home. Plans show Sidewalk also hopes to avoid the need for natural gas throughout the development and to extend Queen?s Quay with a series of bridges for light rail transit, the Martin Goodman Trail and pedestrians. It envisions the project creating 9,000 construction jobs and 3,900 jobs within the neighbourhood. But who will own and operate the community, which is also being backed by Waterfront Toronto, is still unknown. Sidewalk?s Chief Operating Officer of Development Andrew Winters stressed the company is hoping to find partners for the project whose price tag he wouldn?t offer an estimate for, but admitted the company might have to step up.